Contadina takes to heart the Mediterranean philosophy of cooking with passion, using only the finest ingredients to deliver rich and authentic flavours. Contadina, a brand name known to American families for 100 years, began as a result of the German blockade in 1914. Finding themselves short of imported tomato supplies, three enterprising Italian immigrant families seized the opportunity and began producing tomato paste in White Plains, New York. In 1916, a member of one of these families discovered that the good soil and dependable climate of California made it better than Italy's Parma Valley and the Naples peninsula for growing tomatoes. 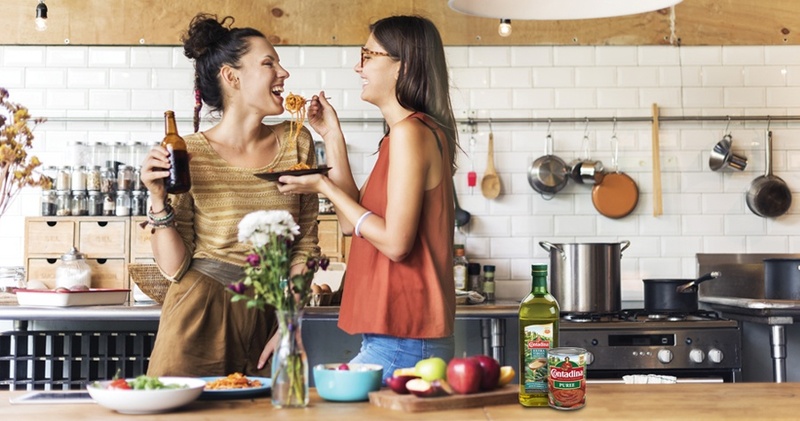 Contadina symbolises the care and quality over many generations in making savoury dishes, whose tradition of excellence is carried on in Contadina packaged tomato products which include Crushed, Diced and Stewed Tomatoes, Tomato Paste, Puree and Sauce, Pizza Sauce, Bread Crumbs and Sweet & Sour Sauce. For more information on our Contadina products in the USA, please visit www.Contadina.com. 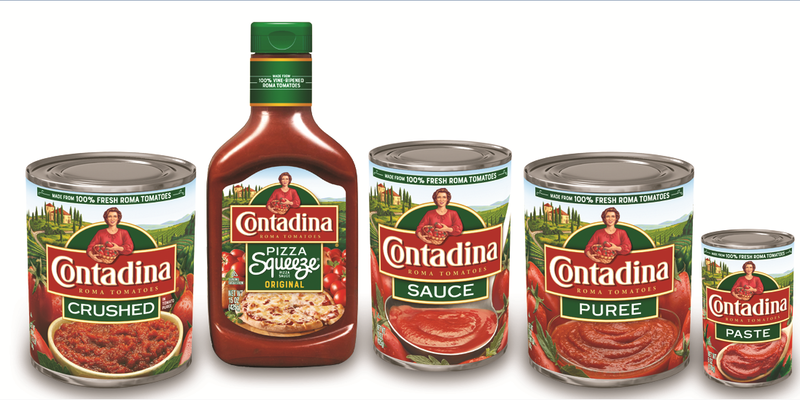 Contadina is also available in the Philippines in Olive Oil, Pasta, Pasta Sauces and Canned Tomatoes. Olive Oil - Sourced from Andalucia, Spain, our Olive Oils are extracted from freshly-pressed Hojiblanca olives, hand-picked from 100-year old trees cultivated under the Mediterranean sun. Savour their fresh and fruity notes with the distinct aroma of citrus. Pasta - Our beautiful pastas are made from premium-grade 100% Durum Wheat Semolina, straight from the Western Prairie provinces of Canada. Firm and bouncy, each piece is a delectable bite worth savouring for a truly authentic Meditteranean pasta experience. Pasta Sauces - Made in Italy, our pasta sauces use fresh tomatoes, herbs, and authentic cheeses. Each pasta sauce is thoughtfully prepared, following a traditional recipe to reward you with authentic flavours that are undeniably Italian. Canned Tomatoes - Grown in California, our Roma Tomatoes are made with love and an abundant supply of sun and nutrient-rich soil resulting in firm cuts that aren't lost after cooking and a delectable, fresh tomato flavour that enriches your recipes.